Sleater-Kinney’s music video for “No Cities to Love,” the title track from their new album, featured an enormous amount of celebrity cameos, including Sarah Silverman, Ellen Page, and Gerard Way. But their new video, for album highlight “A New Wave,” features cameos from a different kind of celebrity: the Belchers, of Bob’s Burgers fame. 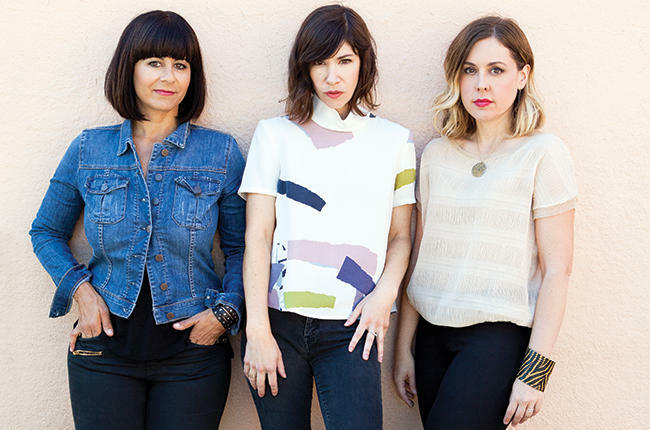 Between Carrie Brownstein’s starring in Portlandia and Transparent, to the band being interviewed by Abbi and Ilana from Broad City, Sleater-Kinney’s reunion has been heavily connected to television. With their new video, they incorporate Tina “riot grrrl” Belcher to dance for all the smart, strong, sensual women out there. Tina is then joined by her siblings, as Bob and Linda wonder what that racket is. 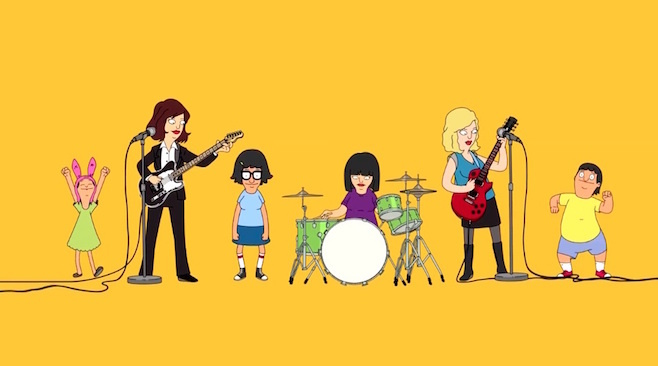 It’s a simple concept, but oh my god, Sleater-Kinney and Bob’s Burgers, together. Bob’s Burgers is one of the most musical shows on television, but their venturing into music videos has previously been limited to artists like The National, St. Vincent, and Stephin Merritt covering some of the original songs from the show. Here, however, the Belchers finally get the luxury of appearing in a legitimate music video. The only question is, is it Sleater-Kinney or the Belchers doing the cameo? Next ArticleTV Review: Arrow (3x14) - "The Return"